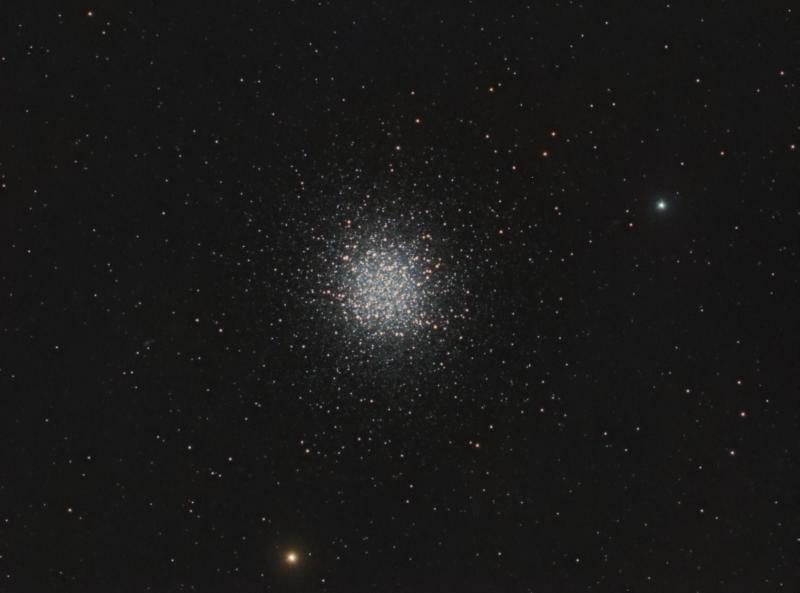 So, browsing different images on this wonderful website I came across a particular image of M13 by a fellow poster. A really beaufiful image and well processed, perhaps the best I have seen. This inspired me to rework my image of M13. My goal was to try and make mine as good as this image, not a chance! But I was still inspired nevertheless. Using the awesome tools in Pixinsite, which I am definitely no expert. I created a Lum mask to protect the background, and stretched the image and also increased the saturation a bit. I also used Local Histogram Equalization to try and bring back some details in the core of the cluster. I used a Range mask for this process, one that protected everything but the core itself. My goal was trying to show the " propeller" in the core. I don't know how well it will show , but I like the improvement. I will post the reprocessed image first. the old will follow. Edited by elmiko, 17 April 2019 - 09:55 AM. I agree, the reprocessed image is wonderful. But the other M13 image you referenced is beyond doubt the best I've ever seen, and sets the bar well out of reach for almost everyone. Yours is a great image, but I'm afraid I've been spoiled. Both images are more than decent, but I actually prefer the look of the "old" image. I think the second image has a slightly better color balance and fewer artifacts around the stars. That said, globular clusters are kind of an acquired "taste" and color balance if definitely something of personal preference. Some also think that globular clusters are particularly hard to process and it's certainly true that really outstanding samples are kind of hard to find, but the same is true for just about any astrophotography subject. Since M13 and M5 are starting to get popular right now I guess I need to go back and finish the RGB version of M13 that I started in 2017. Edited by james7ca, 17 April 2019 - 10:44 AM.